Here are some frequently asked questions and answers. If you have a question not answered here, please contact Dr. Mancherian. What is the most common condition that a podiatrist treats? 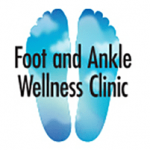 Heel and arch pain are considered the most common complaints by patients who see a podiatrist. Also, toenail and skin conditions are numerous. Where do warts come from and are they contagious? The most common location for warts is on the bottom of the foot. These are called plantar warts. A wart is a viral infection occurring through contact with the virus from a break in the skin. A person can leave the virus on a surface that gets transmitted to another person. The virus thrives outside of the body especially in wet conditions like a shower or changing room floor. How can I get rid of hard skin build-up on my feet? Corns and calluses are nature’s way of protecting the skin’s surface in areas of higher pressure and friction. Pain occurs when corns or calluses grow deep into the skin causing inflammation of the skin and pressure on underlying nerves. Your podiatrist can painlessly remove the excess skin using careful scalpel reduction and excise the core of the lesion. Scalpel reduction will reduce pain but in the event of an external cause such as ill-fitting shoe gear then the cause must be changed to prevent recurrence. Can ankle, knee, hip, and low back pain be caused by bad feet? Yes. Poor foot function can lead to abnormal rotational forces on the leg bones which can cause misalignment of the complex ankle, knee, and hip joints. The opposite is also true where misalignment of the hips can cause knee, ankle, and foot pain. Accurately diagnosing the origin of these problems is essential to appropriate treatment. I think I have my mom’s feet. Is foot structure hereditary? Yes. Take a look at your parent’s feet; now look at your feet. Do you see any similarities? If you do not want your feet to look like your mom’s or dad’s — with bunions, contracted toes, thick toenails, flat arches — then a consultation with a podiatrist is recommended to give you preventative measures to control your foot destiny. It is an evaluation of the alignment of the bones and joints in the lower extremity. What’s the lower extremity? Is it a leg? If so, say so. It is used to determine normal or abnormal joint function, joint range of motion, strength, flexibility, and to identify any areas that may be compensating for a misalignment in a different area. Additionally, it includes an evaluation of how the patient’s body functions as it stands and walks. What causes Athlete’s foot and how can I prevent it? Athlete’s foot is a term that refers to a fungal infection of the skin. This is another condition acquired by the skin contacting a surface where fungus or yeast is present. A contagious condition — it can appear as irritated, red, peeling patches of skin that are itchy or burning, often with a foul odor. Good foot hygiene plus protecting feet from contact surfaces that is the best way to prevent Athlete’s foot. Treatment is by prescribed medication. Why do women suffer more foot problems than men? There is no scientific evidence to support that women have more foot problems than men. Women tend to visit their podiatrist more than men; however, more men over the age of 80 tend to seek podiatric care. Is podiatry covered by health insurance? Most insurance plans cover podiatric care. We accept the majority of PPO & Covered California PPOs and Medicare.